Let's talk about your suspension – you know, the system that connects your wheels to your vehicle, controls your handling and delivers a good ride as you cruise around Ormond Beach FL. Your suspension is critical for proper steering, stopping and stability. When a joint or other part is worn the suspension parts don't fit together as tightly as they should. Handling and steering has a loose feel and you may hear strange noises. Your tires will wear unevenly because they're bouncing down the Ormond Beach FL road a little off kilter. When your Ormond Beach FL service advisor at Honest 1 Auto Care - Ormond Beach inspects your vehicle, he'll look for signs of suspension problems: things like uneven tire wear, excessive play in suspension components and other visible damage. He can replace the worn or damaged parts and restore safe handling. It's a great idea to take care of these problems right away before they become more expensive to repair. And nobody in Ormond Beach likes to see a tire that should last for several years get worn out in a matter of months because of a bad suspension part. At Honest 1 Auto Care - Ormond Beach in Ormond Beach FL, 32174 we install quality NAPA replacement parts. 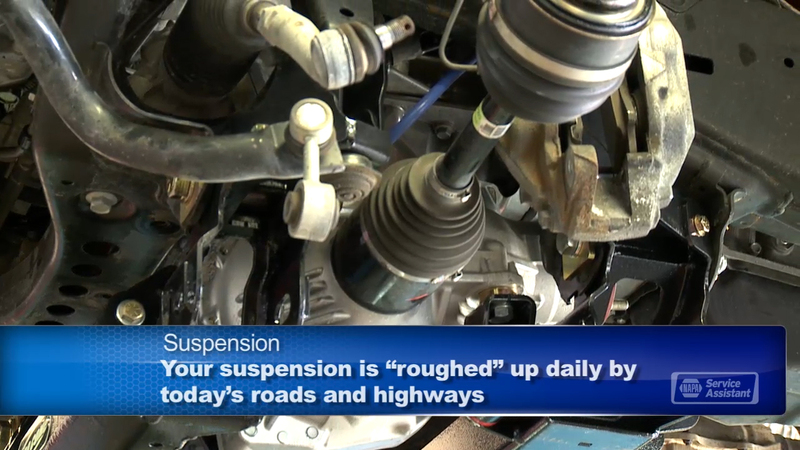 It's easy to take your suspension system for granted, but normal wear and tear can affect your handling and safety. A worn suspension part starts a chain reaction that stresses other parts and causes them – and your tires – to wear prematurely. Let us help you take care of your suspension. At Honest 1 Auto Care - Ormond Beach in Ormond Beach we install quality NAPA replacement parts. Give us a call at and let us help keep you safely and economically on the road.